White denim jeans have always been on my to-do list, but since I’m so accident prone I typically shy away from them. Now that I’ve accepted my clusmy nature, I finally got the guts to start wearing them more. 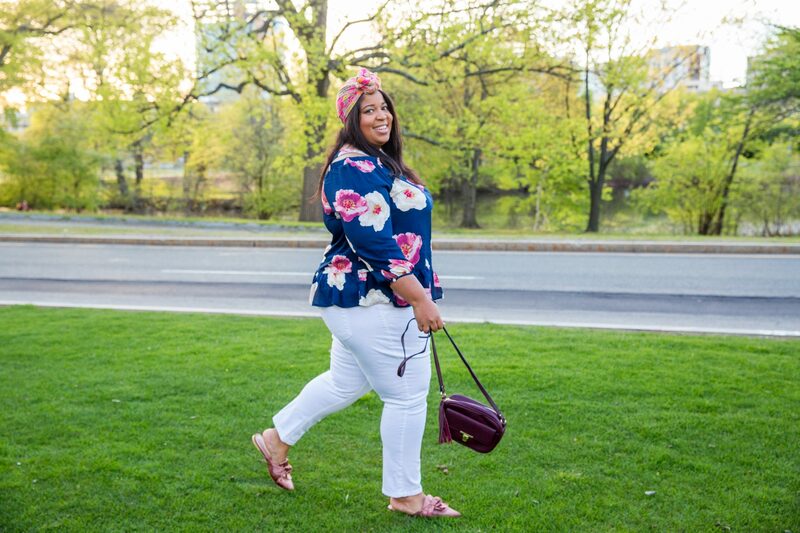 I wanted to buy some jeans on saw on Fashion Nova, but I hate seeing my cellulite popping out of bright colored pants—last time someone asked me if my jeans had a ribbed effect–no lady, it’s my braille! 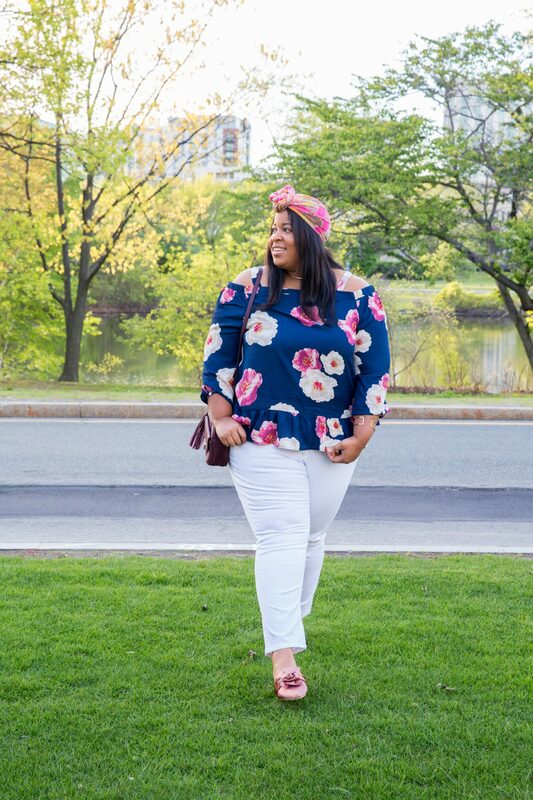 So here’s to Spring flowers and the white denim jeans that I’m rocking all Spring and Summer! And of course, JD Williams FTW!! Aren’t they cute? 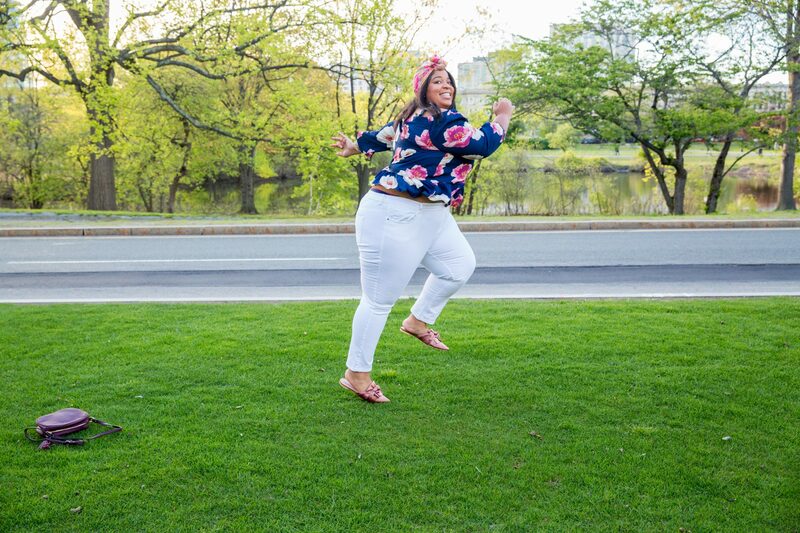 And I did not smooth out the cellulite either–they are naturally great quality pants! 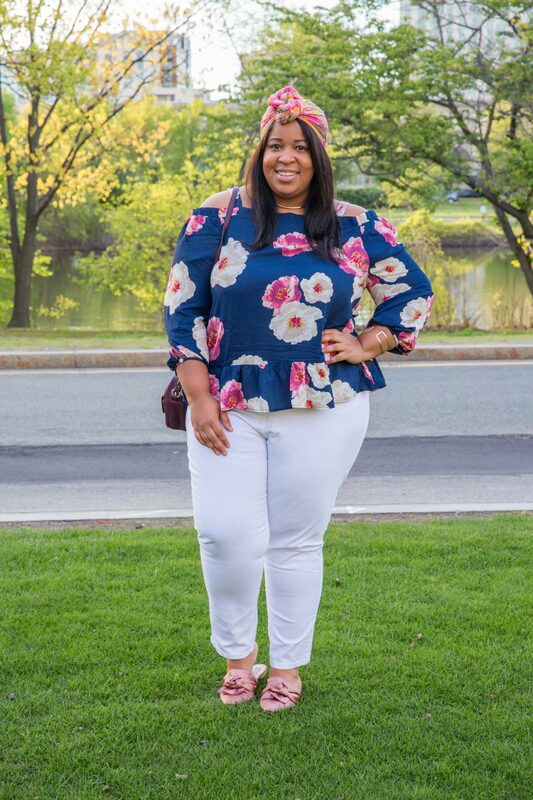 Also, my floral top from JD Williams is going to be a closet staple too. So far, I’ve styled it 4 ways and I believe there’s potential to do more! It a hybrid faux off-the-shoulder dress…therefore you can wear it with a bra! And my purse though??? Wherever there are tassels, there’s Chardline! I am going to break this out in the Fall because I see a potential camel colored jacket ensemble in the near future. My Cape Robbin shoes from Amazon are almost out of commission! 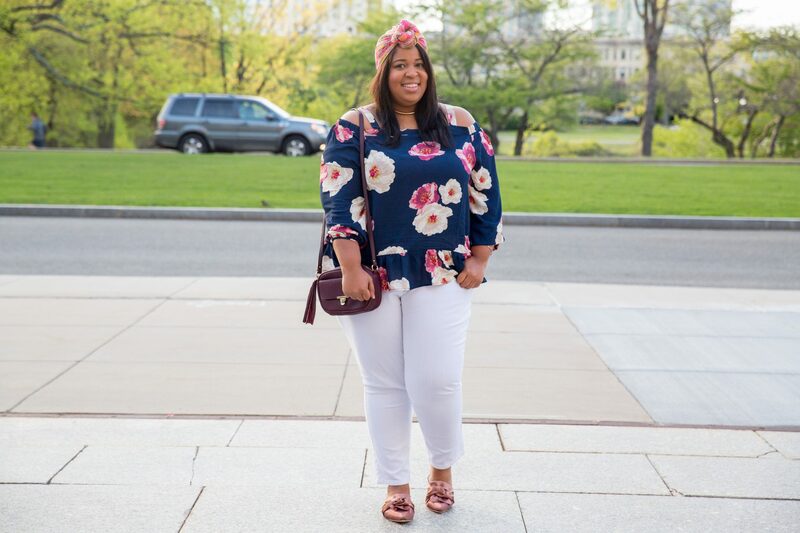 I legit live in them–along with my headwrap from Amazon! There’s something about pink attributes and Spring time that makes me feel nostalgic of my summers in Montreal! So how do you feel about it? 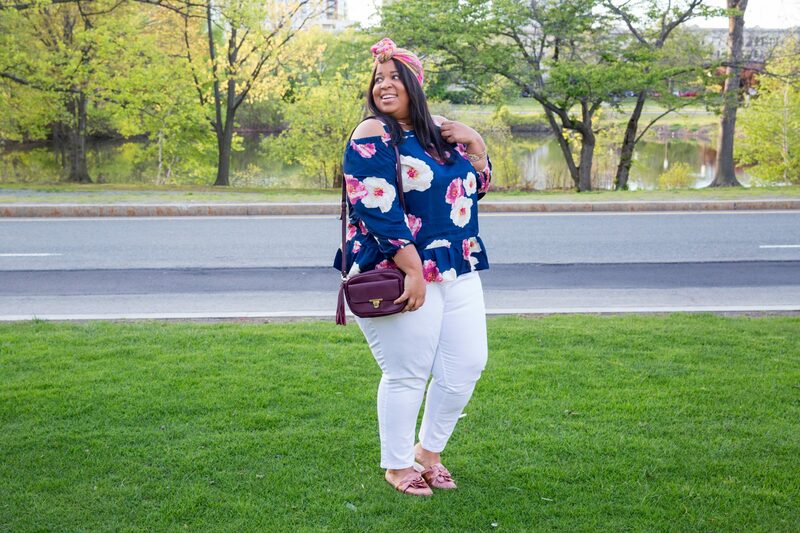 Are you feeling my Spring / Summer Vibes?? Let me know! !